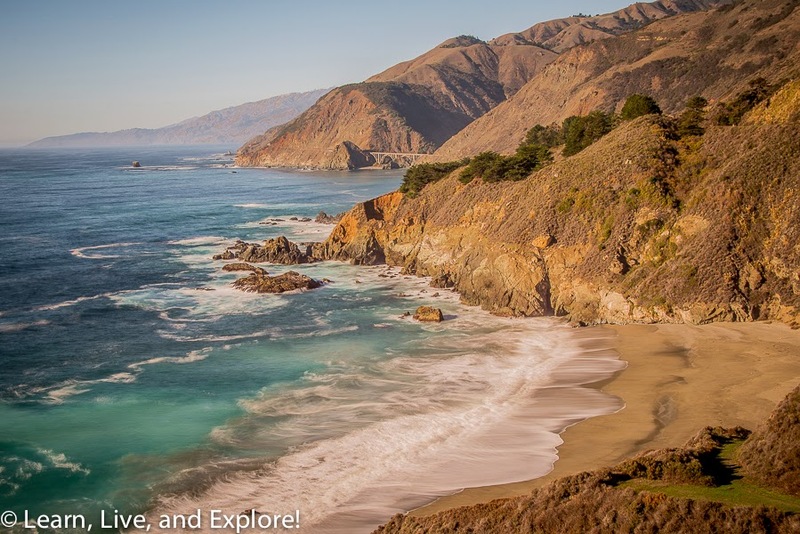 Roadtripping Highlights of the PCH ~ Learn, Live, and Explore! 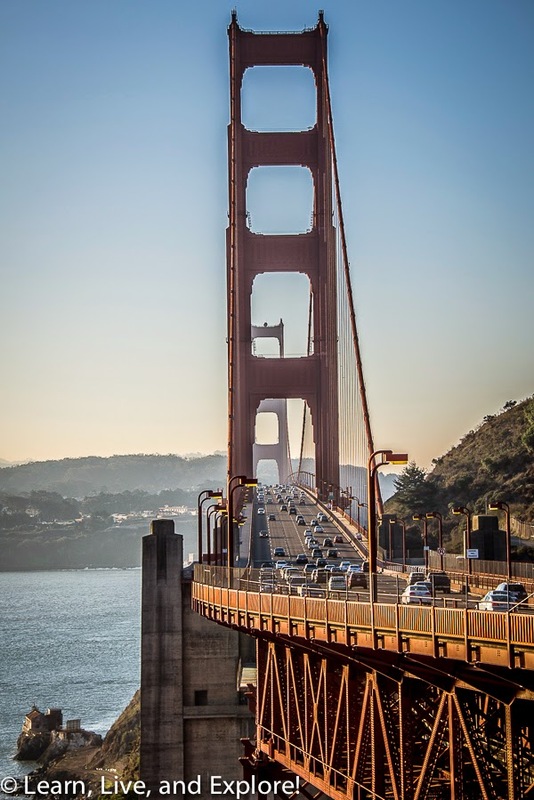 California's Pacific Coast Highway is formally known as Route 1, and it spans from Orange County in the south to Mendocino County in the north. 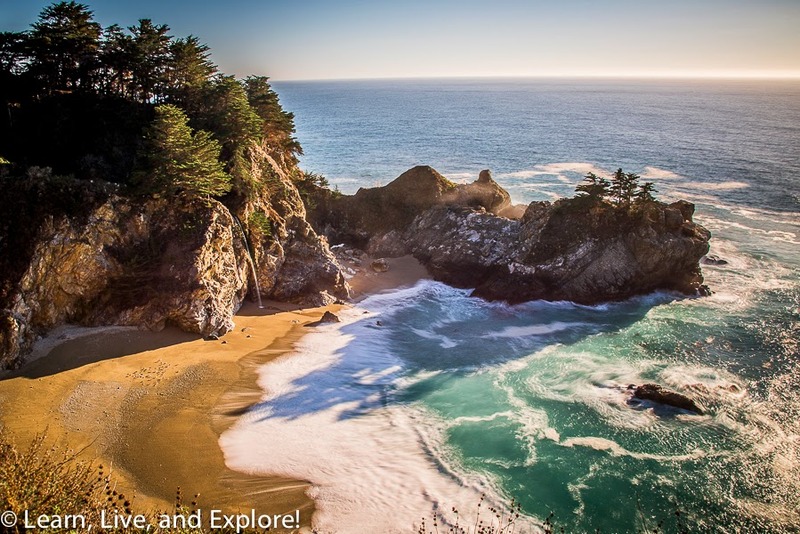 For photographers, the real jewel of this road is the stretch that takes you along the Big Sur coastline. Often times, Route 1 merges with Highway 101, and it is this road that I took to extend the coastal trip up to see the massive redwoods of Northern California. 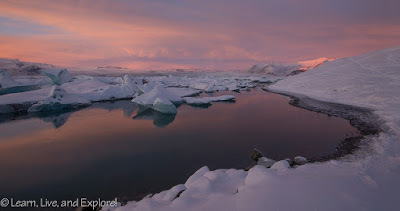 In addition to coastal scenes, there are several highlights along the route that are "must see" stops, in my opinion. 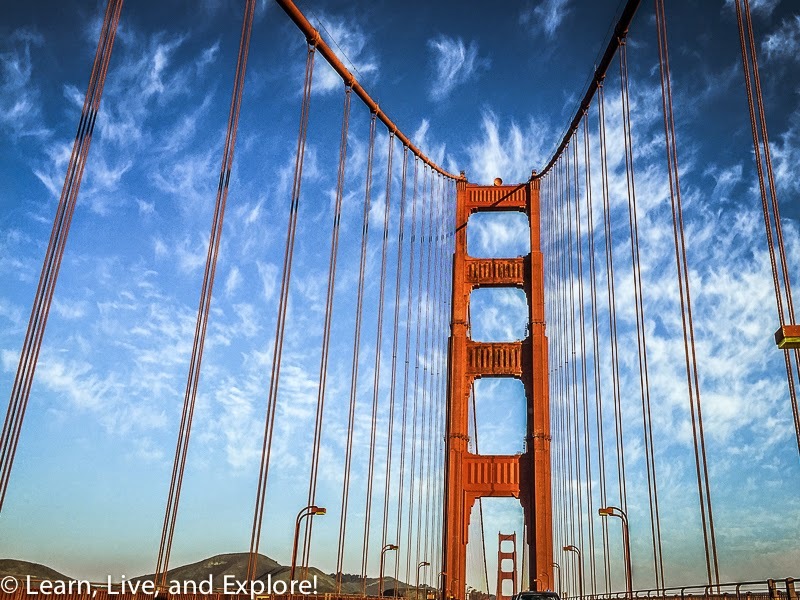 Those places are in addition to the many things to do and see in both Los Angeles and San Francisco. 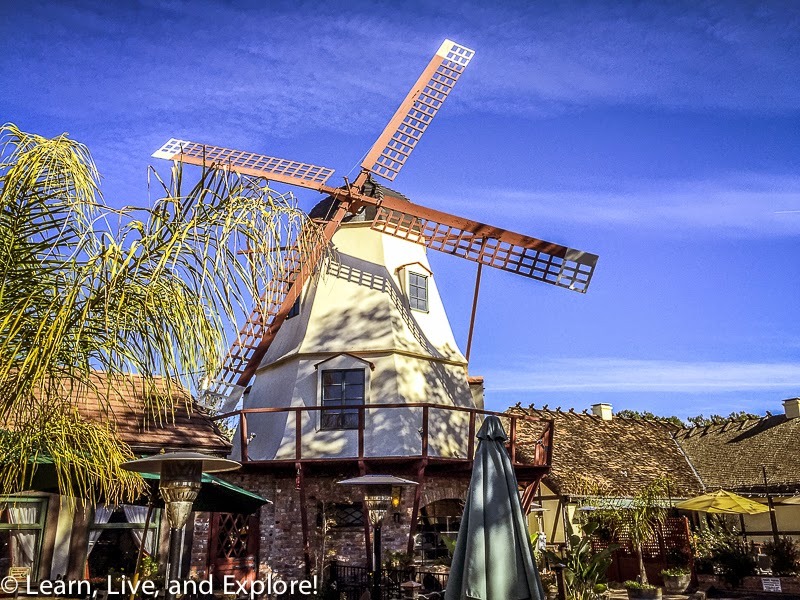 One of the stops on this roadtrip that I suggest you make is Solvang, just north of Santa Barbara. Solvang is a little taste of Denmark, founded in the early 1900s by a group of Danish transplants. Part of the main road through town is designed to represent typical Danish architecture, and there are plenty of bakeries and restaurants to try out some authentic food. I wanted to stop at another "must see" of the PCH, Hearst Castle, but I was restricted by time and the fact that I had my dog with me. The visitor center is pet-friendly, but the house is not, and I won't leave him in the car. I've seen photos and heard reviews from friends, so I was sad I had to skip this attraction. 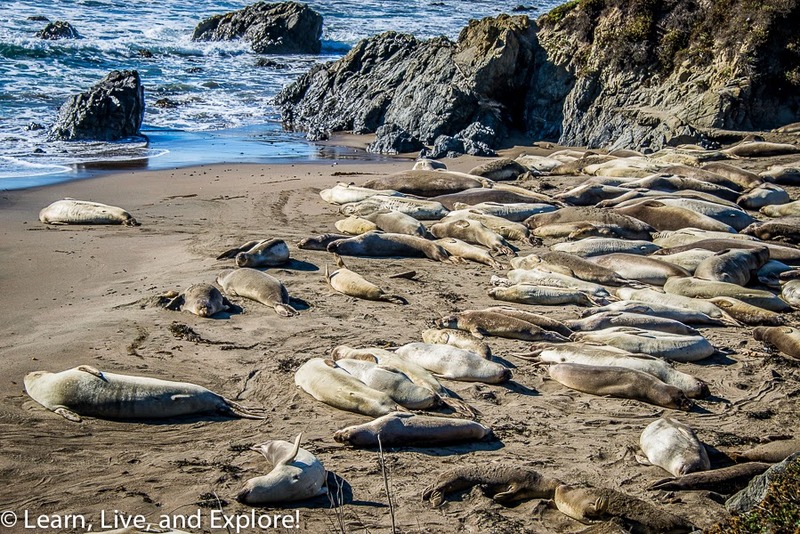 Just north of Hearst Castle, in San Simeon, is the popular beach (or rookery) where everyone stops to look at the giant elephant seals sleeping in the sun. The best time to see the seals are in the winter months, when the males come to the beach to lay claim, then the females come a month later to start the breeding season. Heading north past the seals, you enter into California Costal heaven - Big Sur! Take advantage of lookouts to capture the views. 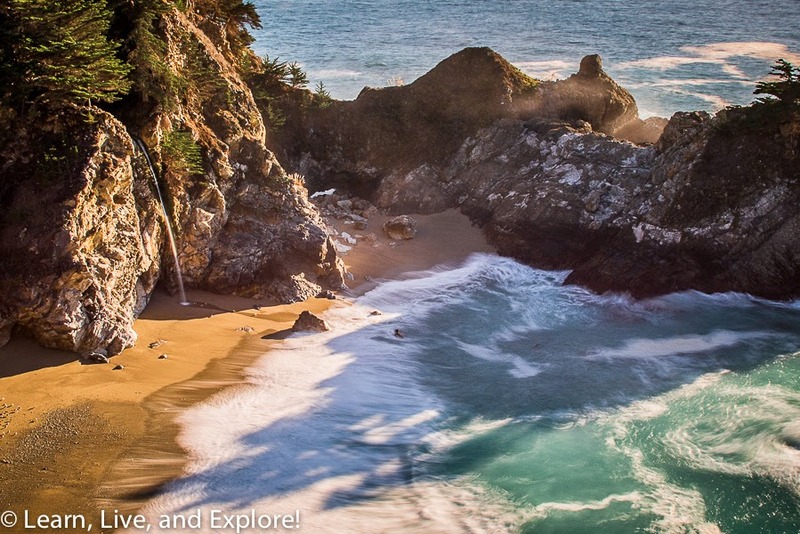 A little bit longer stop should be made at Julia Pfeiffer Burns State Park to take the short trail that overlooks the 80 foot McWay Falls. This narrow waterfall pours onto the beach from a rocky cliff and, technically, is called a tidefall for that reason. Entrance to the park is on the east side of PCH. 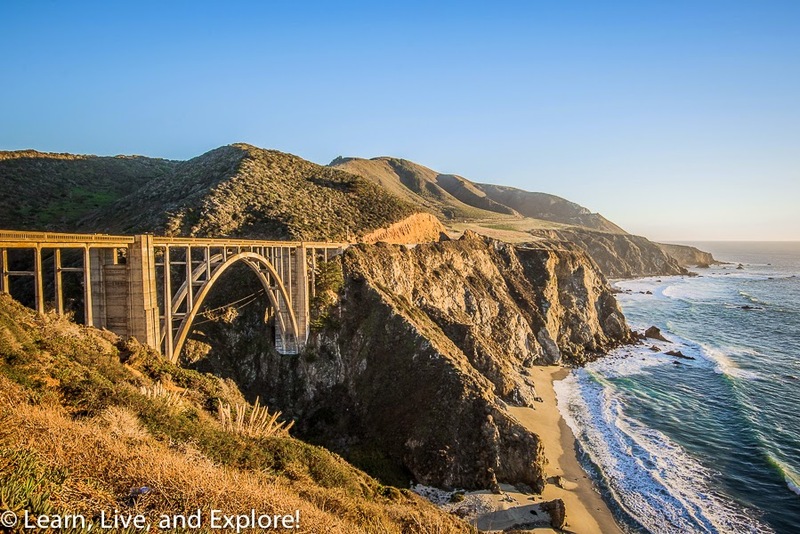 The Big Sur tour culminates at the Bixby Bridge, a 320 foot concrete arch bridge. When I passed over the bridge, a group was filming a commercial for a BMW SUV. The downside was that traffic was stopped on both ends of the commercial driving zone for a bit as they wanted to have it clear on all the coastal road S-curves for safety and visual advertisement aesthetics. The upside was that I got a clean, traffic free photo of the bridge! After Big Sur, the stops are less attraction-based and more city/town based. Of course, if you have time, you must explore Carmel. It has some great restaurants and shops, especially art galleries. A short drive north is the town of Monterey. 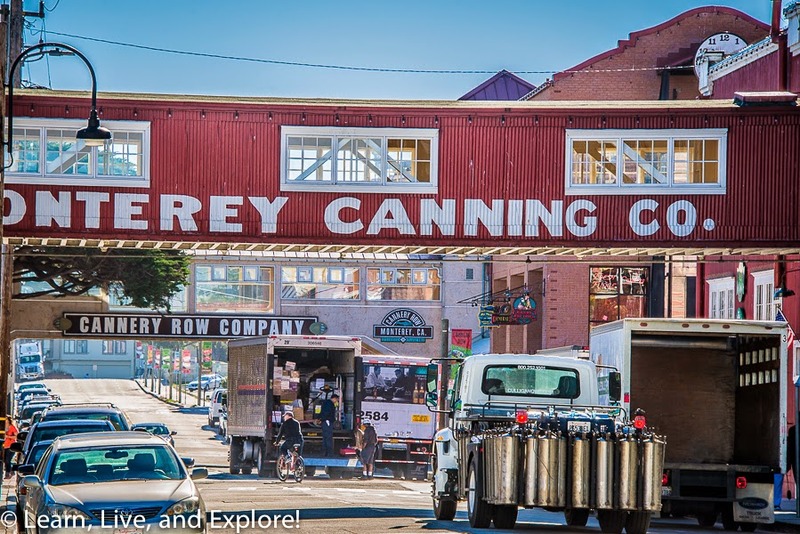 This town, rich with history as a former hub for sardine canning on the California Coast, and its iconic cannery row - that played a huge role in John Steinbeck's novel of the same name - has kind of turned into tacky tourist trap. 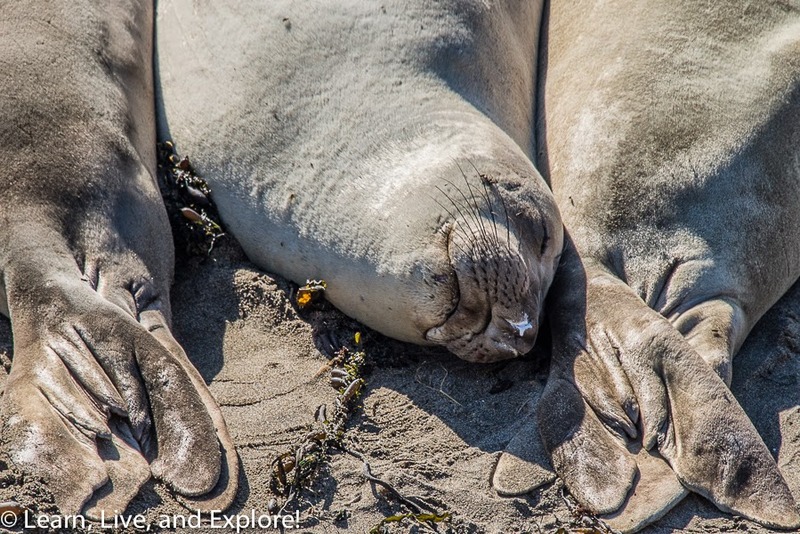 There is still the wonderful Monterey Aquarium to visit and the potential sighting of sea otters, especially if you take advantage of some of the otter kayak tours. Other than those attractions, I don't really see the need to stay more than a half day, if you have the time. Once you've finished in Monterey, Route 1 will pass through the artichoke capital of California, Castroville. 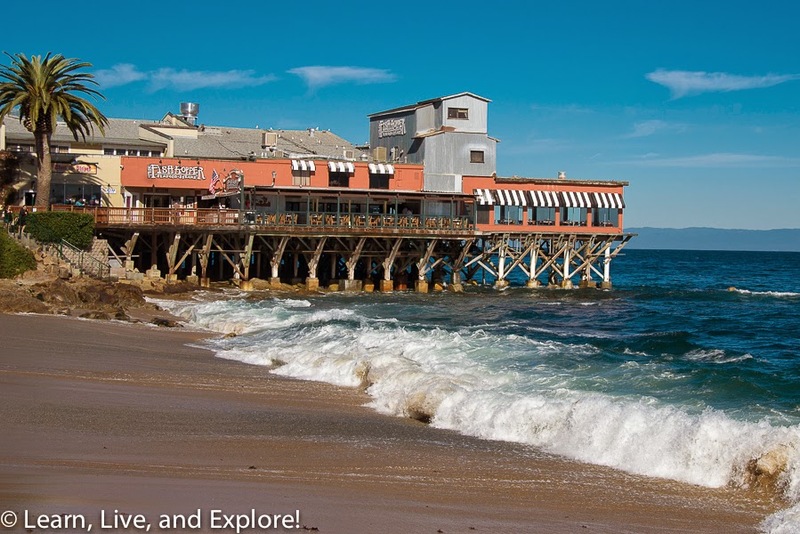 Consider making a fun, quick stop at the boardwalk of Santa Cruz. 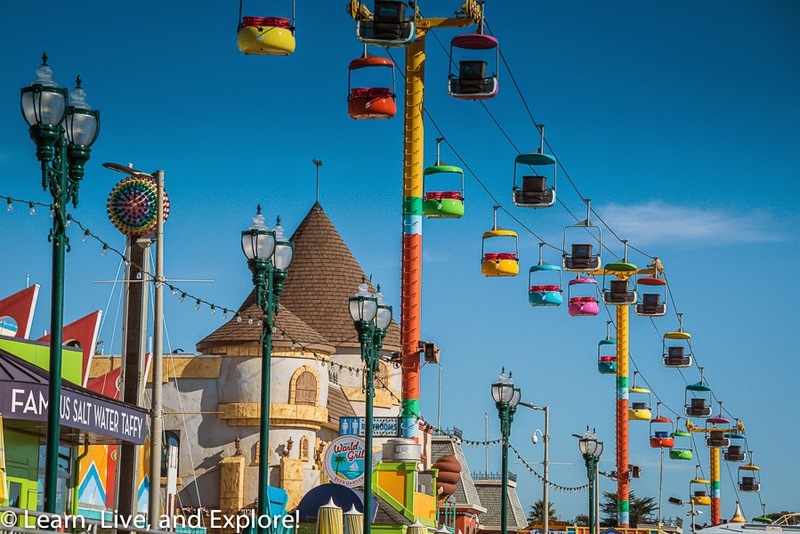 Obviously, visiting in the warmer months would be more ideal, as the rides would be open more frequently and the very colorful Sky Glider chairlift ride would have people occupying the seats instead of weighted trash cans! 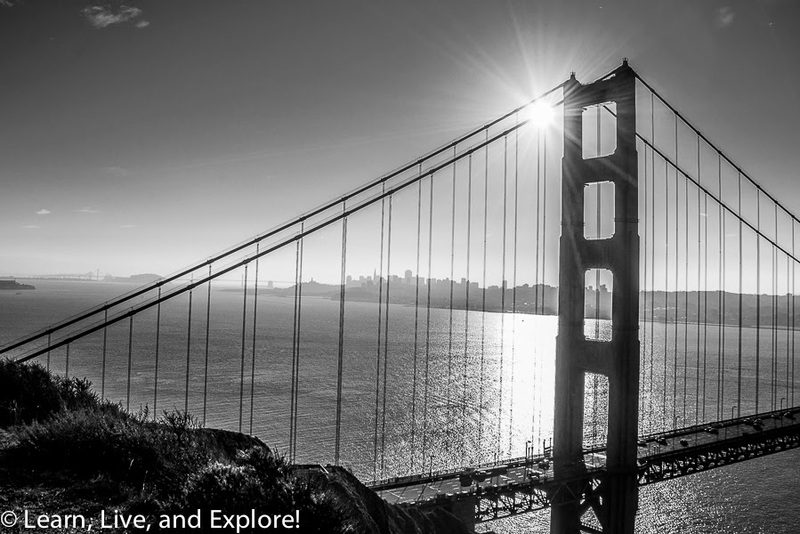 It is just a, comparatively, short ride to get from Santa Cruz to the fabulous San Francisco. About two years ago, I wrote about how to do a quick tour of San Francisco (link), if you're interested and want to check it out. As I mentioned earlier, the official end of the PCH is Mendocino County, which begins just after the Golden Gate Bridge. 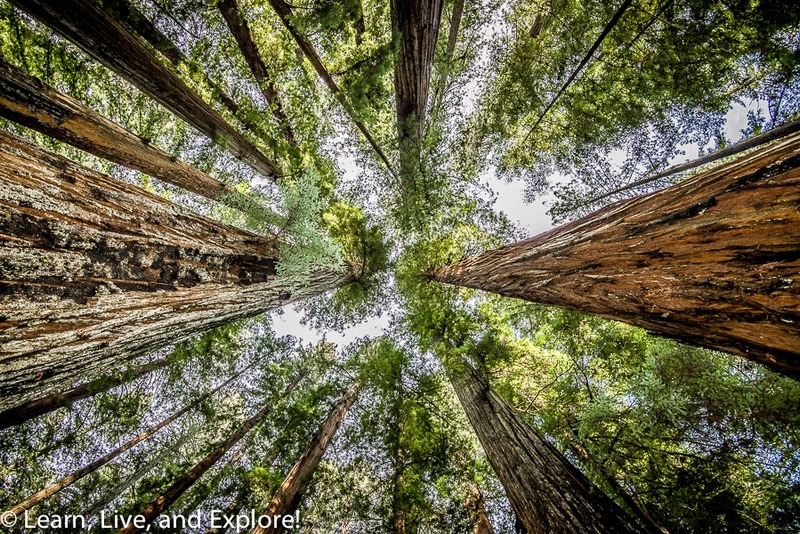 While it would make sense to stop in San Francisco and make my way back home to D.C., I had always wondered about the redwood forests made famous by Woodie Guthrie's song, "This Land is Your Land." Plus, who could resist an opportunity to actually drive a car THROUGH a tree? 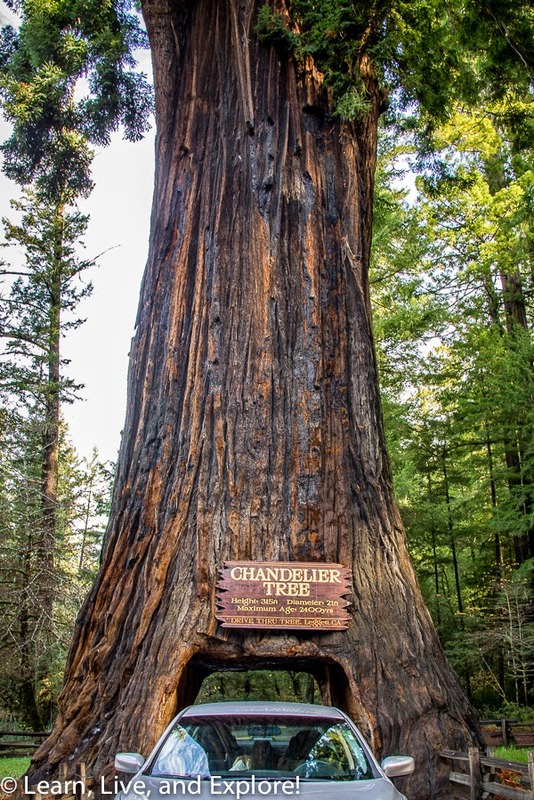 The several drive-thru tree options are all paid excursions, so I selected to visit just the Chandelier Tree to check that box. 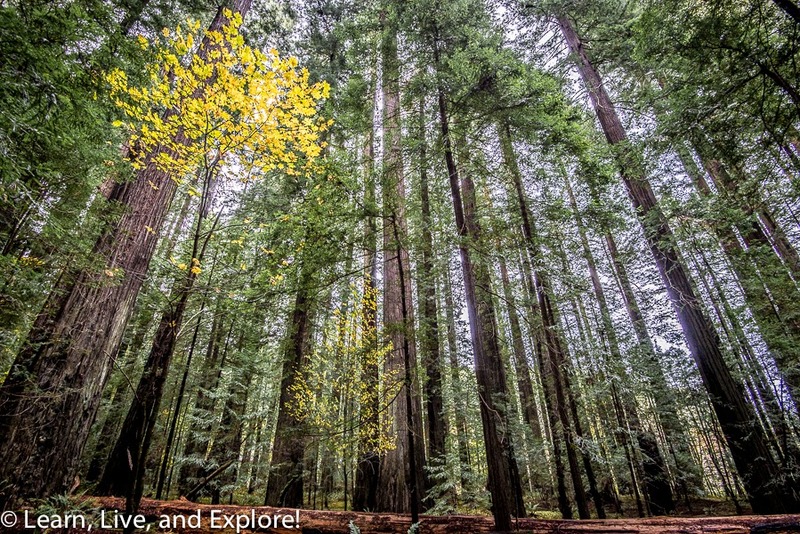 The best strategy for visiting the redwoods is plenty of advance planning. I found this site and this site with hiking suggestions, both long and short. And even with internet research, stop at a Visitor's Center and get some tips from locals and National Park Rangers. 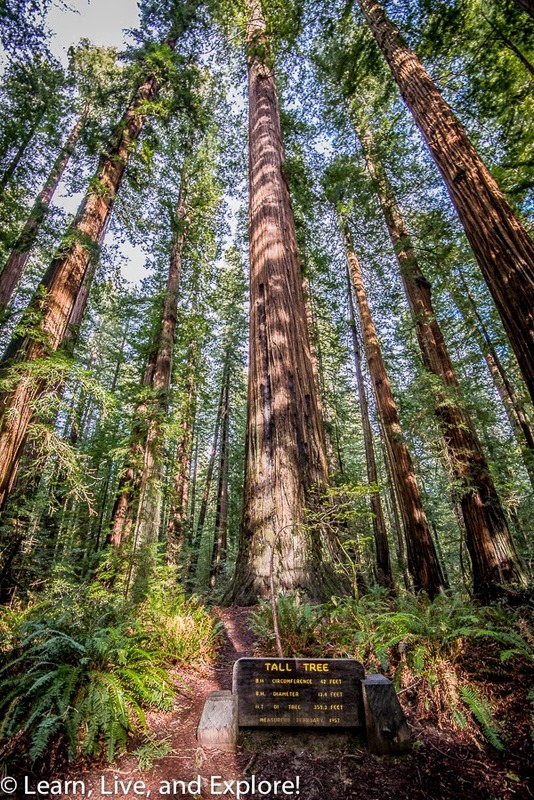 My goal was to see at least one of the famous trees, so I made a quick visit to Tall Tree - a behemoth at over 360 feet tall and 13.5 feet in diameter! Finally, while passing through Eureka between Humboldt Redwoods State Park and Prairie Creek Redwoods State Park, I stopped at a gorgeous Victorian home known as the Carson Mansion. 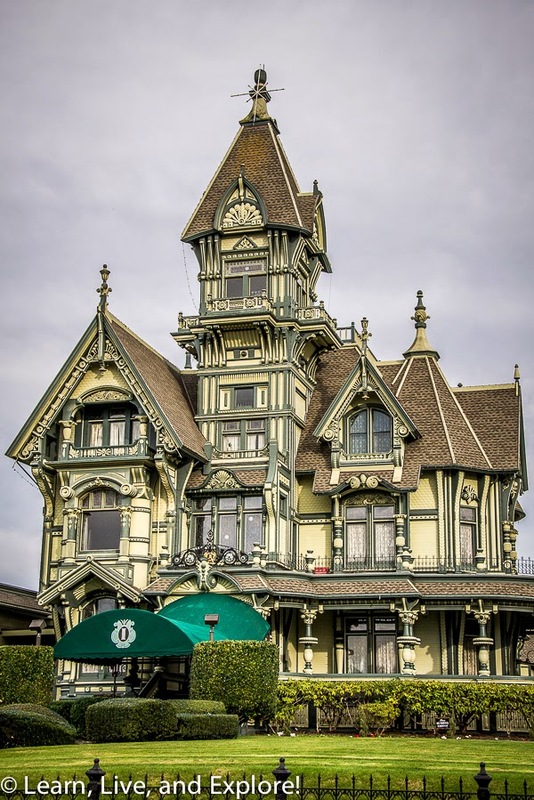 This former home of a California lumber baron is recognized as one of the best examples of Victorian architecture in America, as it represents all of the various styles of building and detail. It has also served as inspiration for many illustrations of haunted houses. Sadly, the grounds and house are not available to the public. So that's it! A PCH plus a little more roadtrip! If time allows in your travel schedule and you choose to continue on north into Oregon, you will be delighted with more beautiful coastal scenes. In the warmer months, you should even consider staying in the Brookings to Coos Bay area to rent ATVs and explore the incredibly large sand dunes. I did that once when I was in high school with a friend, and we had so much fun - and sand in our scalps for days after!